U.S. government grants annually provide more than $700 billion that impacts every aspect of society. However, these dollars carry with them traditional fraud risks, including conflicts of interest, material false statements and theft, as well as unique issues such as commingling and research misconduct. To compound these challenges, the outcome of many grant awards is hard to measure and the oversight mechanisms common in contracts are often not present, or at times less effective, in a typical grant-funded program. This session will explore traditional grant fraud schemes, risk factors that affect grant-funded programs, recent regulatory changes and emerging trends and risks related to the oversight of grant dollars. Since 2003, Ken Dieffenbach has served as a special agent with the U.S. Department of Justice, Office of the Inspector General, Fraud Detection Office located in Arlington, Virginia. He has led dozens of complex and sensitive fraud and internal misconduct investigations and has made well over 100 presentations about fraud to a wide variety of audiences. He is an adjunct instructor at the Federal Law Enforcement Training Center, coordinates DOJ’s Fraud Task Force’s Grant Fraud Working Group, and has had articles published in the ACFE’s Fraud Magazine and the Non-Profit Times newspaper. 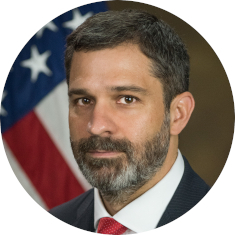 In his current role, Dieffenbach is an Assistant Special Agent in Charge managing a nationwide team focused on contract fraud and proactive data analytics and is the Deputy Director of the Office of Data Analytics. His work has been recognized with numerous awards including the Attorney General’s Distinguished Service Award. Prior to his current position Dieffenbach served over six years as an active duty officer special agent with the United States Air Force Office of Special Investigations. He received his undergraduate degree in business and accounting from the Citadel in Charleston, South Carolina, and his graduate degree in criminal justice from the University of Alabama at Birmingham.